I’d shown up to my Ghanaian friends’ house with a bag of groceries, my thanks for them having fed me home-cooked meals multiple times since I’d been living in Malaga (and my ‘bribe’ to get them to cook again that day). Had I done the shopping for Jollof rice? Not intentionally. 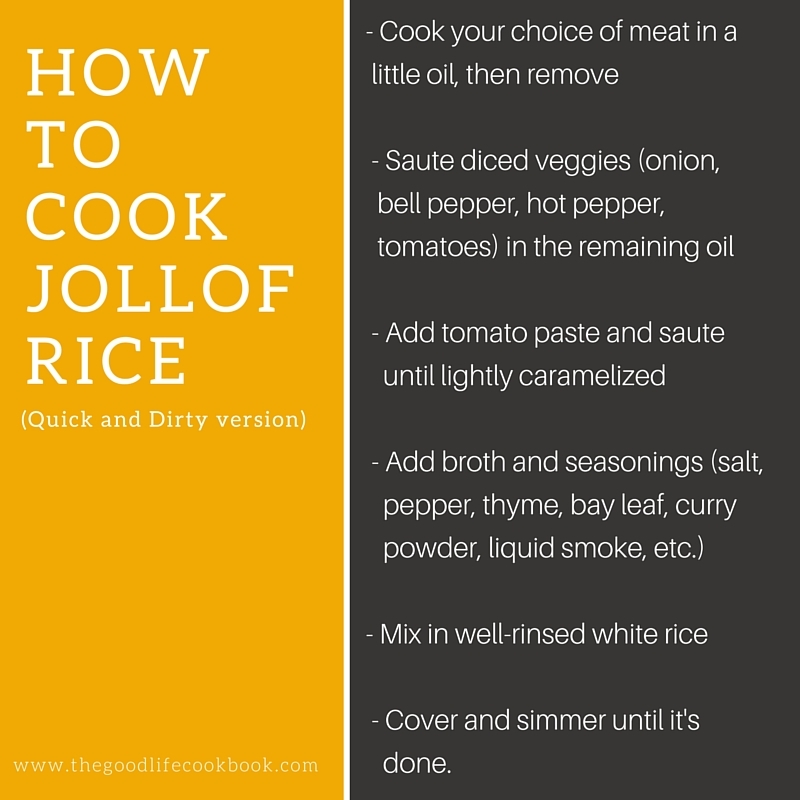 But that day, I learned how to put this handful of very common ingredients together to create a classic West African rice dish that many say is the precursor to Southern / Creole jambalaya. 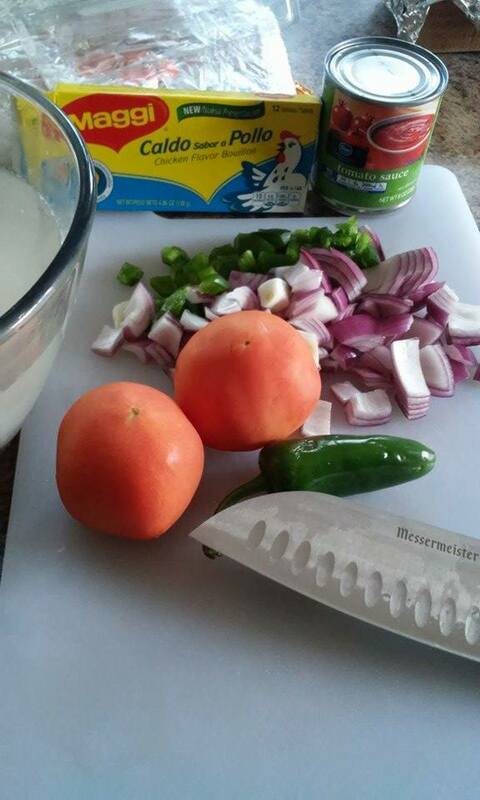 Ingredients that are almost on hand in my kitchen: onion, peppers, tomatoes, chicken bouillon, tomato sauce, and rice. Yet, there is one other thing though that – for me – sets Jollof rice apart from other one-pot rice dishes… the crispy bottom. If you have never experienced the culinary and textural joy that is crispy-bottomed rice… my friend, I dare say, you have not yet lived. While West Africans aren’t the only ones who finish off rice cookery by intentionally and lightly scalding the layer of rice at the bottom of the cooking vessel so it turns a crispy, golden brown (the Spaniards do it too with paella), I think they may have perfected it. 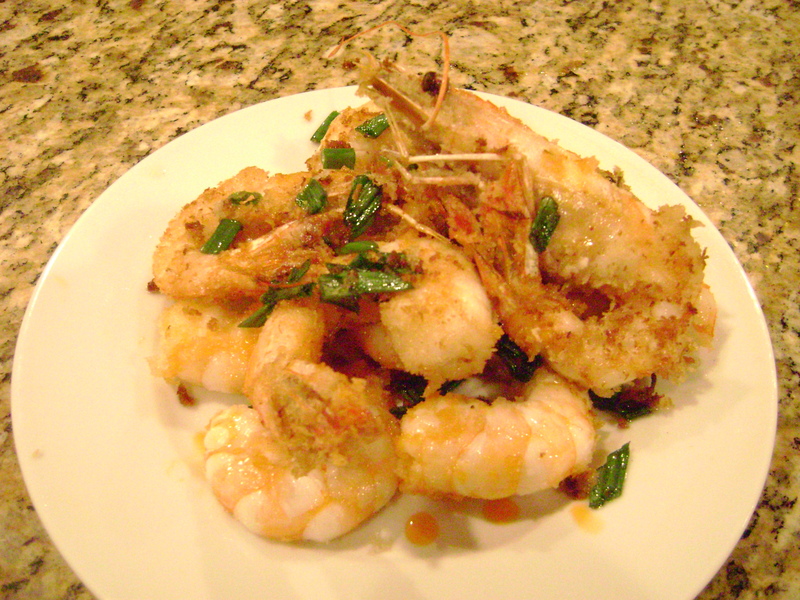 Plus, the rich flavors of this dish, when combined with that crunchy layer of rice, is just… delightful. The best way to learn to make any dish is to watch someone else make it. 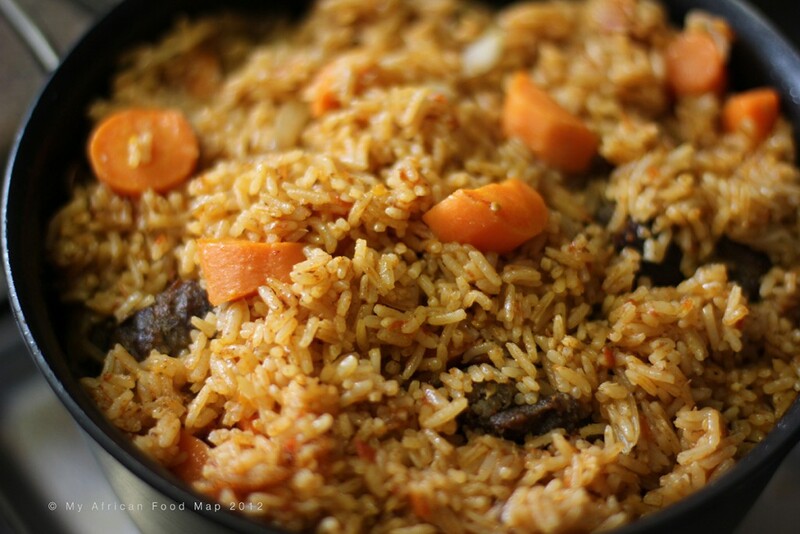 In this video recipe from My African Food Map, Ghanaian Tuleka Prah takes us into her aunt’s kitchen to learn the Ghanaian way to make Jollof rice – note the addition of extra veggies like carrots and green beans. Another West African home cook, Sisi Jemimah, swears by the addition of butter and white pepper to get an authentic Jollof rice taste. She also shares her secret for getting that characteristic reddish color that Jollof rice is known for. She finishes her version by stirring in fresh tomato and sliced onion at the end of cooking – a touch that will add a little brightness to a dish that’s heavy on rich, savory flavor. 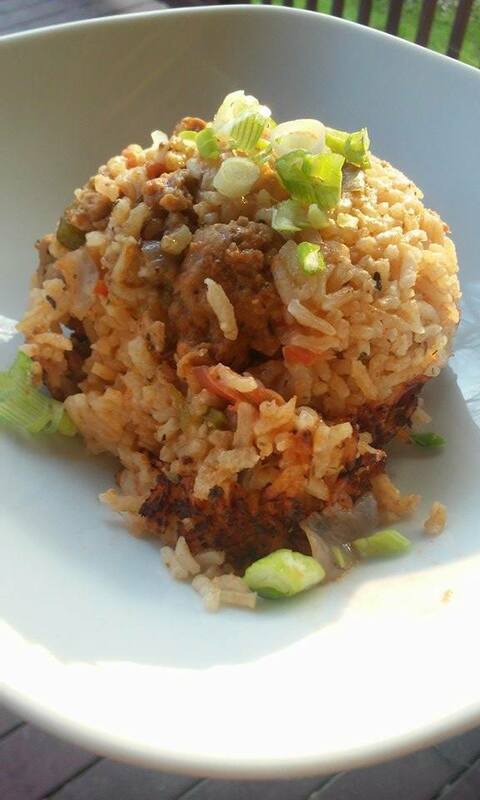 This recipe from NigerianFoodTv gives specific instructions on how to get that coveted crispy bottom layer on the rice. It suggests parboiling the rice to help the process along, but I’ve gotten good results without parboiling, instead just rinsing the rice to remove the excess starch before cooking. 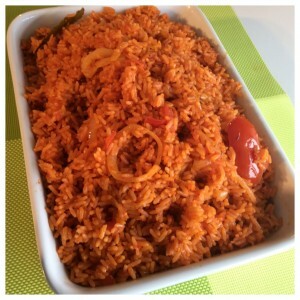 Have you tried Jollof rice before? What are your tips for getting the right balance of flavor, color and texture? If you haven’t tried to make this dish before – give it a go… you won’t be disappointed.